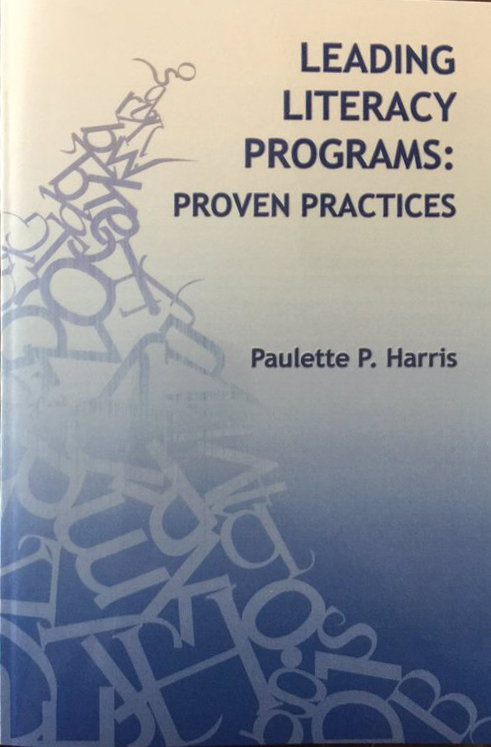 AUGUSTA, GA. – After decades of leading the nationally recognized Augusta University Literacy Center, Dr. Paulette Harris has finally bound all of her tricks and tips for getting children and adults to read into a handbook for parents and practitioners. “Leading Literacy Programs: Proven Practices” was just printed by Stipes Publishing. Sized to fit comfortably in an average handbag or satchel, the book chronicles all of the most impactful practices and techniques in literacy training, from old-standbys like Rainbow Words to newer innovations like Semantic Mapping. “Leading Literacy Programs” was developed over the course of two years with an everyman approach. It is designed to be useful to any literacy advocate – parents, tutors, beginning volunteers and retired teachers. And it is flexible enough to be functional for all ages, grade levels, and stages of development – including gifted and special needs students. “Dr. Harris is able to write about her work with eloquence, she is able to do her work effortlessly, and no one in the College can seem to keep up with her seemingly unbounded enthusiasm,” Kelehear said. The book includes everything from reading and mathematics basics to study skills, time management, and organizational skills. “Leading Literacy Programs: Proven Practices” will be available in the Augusta University bookstores, available to other colleges as an educational textbook or supplement and will be available at http://www.stipes.com/catalog.